SQL Transact – Getting Started with the Query Analyser. Once you have installed SQL server you may begin querying the databases with the Query Analyser. To get started, click on the Start Menu, Programs, Microsoft SQL Server, then click on Query Analyser. Next, I would select the radio button ‘Connect Using: Windows Authentication’, finally click O.K. Now you should see the main typing window on the right and the object browser on the left. Note in the diagram opposite that the Tables in the Northwind database have been expanded. .dbo stands for Database Owner. Whereas the full name of a table would be database.dbo.table, this can be abbreviated to just table. Scenario: You want a list of all the customers in the Northwind database. 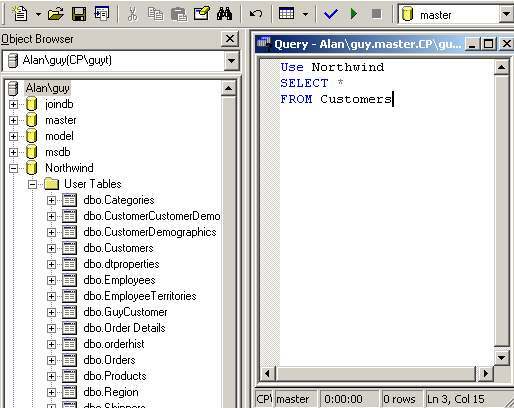 ‘USE Northwind’ means select the Northwind database, not the MASTER database. GO means execute the command. Abbreviated path, it works – I like it! 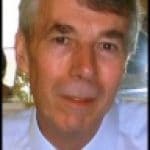 — SQL statement to select all columns from the customers table. Full path, including the .dbo (database owner). Too much typing! I prefer the abbreviated path above.